Donetsk (Ukraine) (AFP) - Eleven Ukrainian civilians were killed and nearly 20 injured on Tuesday when a long-range Grad rocket apparently fired by pro-Russian insurgents hit an intercity bus in the separatist east. Local police said the rocket appeared to have gone astray after being aimed by the gunmen at a checkpoint set up by government soldiers on the main highway connecting the rebel stronghold of Donetsk with Ukraine's southeastern coast on the Sea of Azov. The incident, which was condemned by the UN Security Council, was the deadliest attack on civilians since the rival sides signed a much-maligned September 5 ceasefire that only partially stemmed the fighting and did little to resolve the insurgents' independence claims. Tuesday's strike also damaged Ukrainian President Petro Poroshenko's efforts to set up a peace summit where his Russian counterpart Vladimir Putin could personally sign a truce to try to end the ex-Soviet republic's nine-month war. German Chancellor Angela Merkel -- the West's main mediator in Europe's deadliest conflict since the Balkan wars of the 1990s -- argues that such a meeting would be premature with violence still raging daily across Ukraine's Russian-speaking rust belt. Diplomatic talks in Berlin on Monday confirmed that no summit would be held on the crisis in the short term. Both Ukrainian military and regional police told AFP that the death toll from Tuesday's incident included seven women and four men. 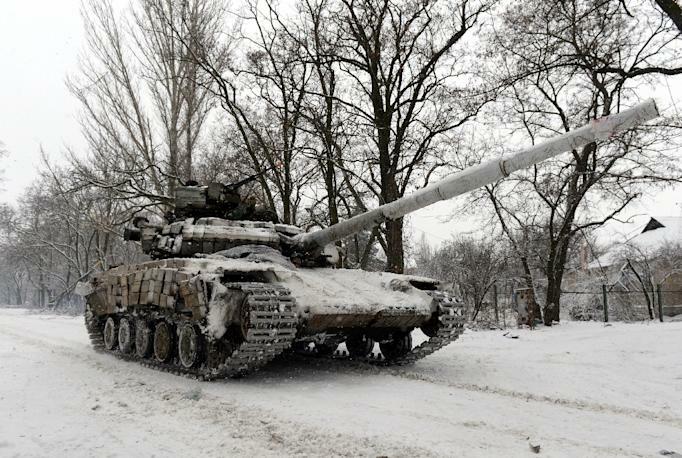 The local administration said 17 others had been hospitalised near the town of Volnovakha, where the bus was hit, 35 kilometres (22 miles) southwest of Donetsk. Donetsk regional interior ministry department chief Vyacheslav Abroskin said the rocket appeared to have gone astray after being fired at a Ukrainian military checkpoint. "It was a direct hit on an intercity bus," Abroskin told AFP by telephone. Ukrainian General Bogdan Bondar told parliament that the rebels had staged "a provocation" by launching their strike from a residential area in the hope of drawing retaliatory fire from state soldiers that would kill scores of civilians. Both separatist leaders and military commanders rejected responsibility. "I very much doubt that we could have hit anything as far away as Volnovakha from our positions," Donetsk separatist co-leader Andrei Purgin told AFP by telephone. "You can see on the map that it is very far away from our nearest roadblock." 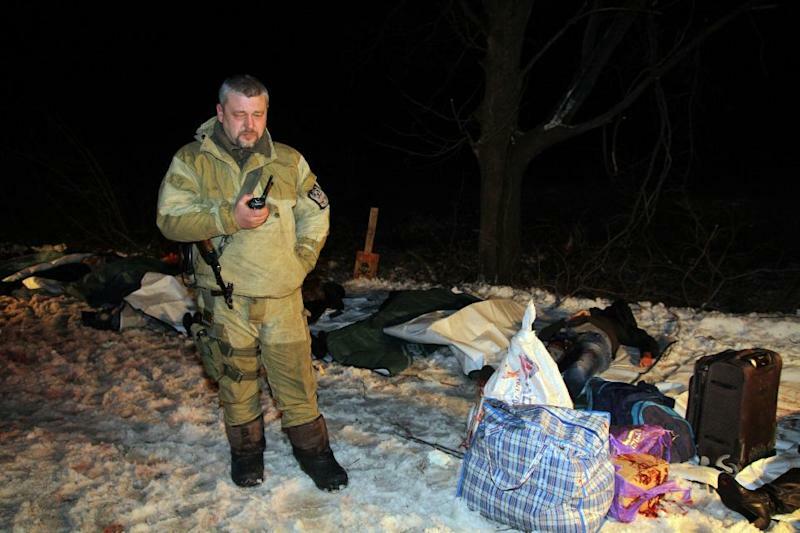 Donetsk deputy separatist forces' commander Eduard Basurin also denied rebel involvement. "No one fired at anything," he told Russia's RIA Novosti state news agency. The insurgents and Kiev frequently blame each other for stray rocket and artillery fire that kills and wounds civilians on an almost daily basis. The UN Security Council in a unanimous statement of the 15 members, including Russia, called for an investigation into the incident, while US Vice President Joe Biden expressed "regret at the increasing number of ceasefire violations by Russia's proxies" in a call to Ukraine Prime Minister Arseniy Yatsenyuk, the White House said. The latest casualties were reported after the foreign ministers of Germany and France failed to help their counterparts from Moscow and Kiev bridge differences over ways to end a conflict that has claimed more than 4,700 lives. Kiev accuses the Kremlin of arming the insurgents and refusing to withdraw its own troops from the eastern war zone -- soldiers Moscow denies having ever sent. The Kremlin counters that the pro-European leaders in Kiev who came to power after the ouster of a Moscow-backed administration last February are persecuting ethnic Russians who shared a Soviet-era mistrust of the West. Putin denies any involvement in the conflict and has shied away from playing a direct role in mediation talks. Ukrainian Foreign Minister Pavlo Klimkin said an international summit involving both Poroshenko and Putin would now require more preparations and talks with pro-Russian rebels. "Russia is trying to position itself as a mediator in the conflict, distancing itself from it," said political analyst Oleksy Melnyk of Kiev's Ramzukov Centre. "But conducting negotiations with rebel leaders who are really nothing but Russian puppets is a hopeless task," he added. Donetsk -- a once bustling city of nearly one million people that now stands half empty and suffers chronic power and water shortages -- has been the target of especially heavy rocket and artillery fire in the past week. 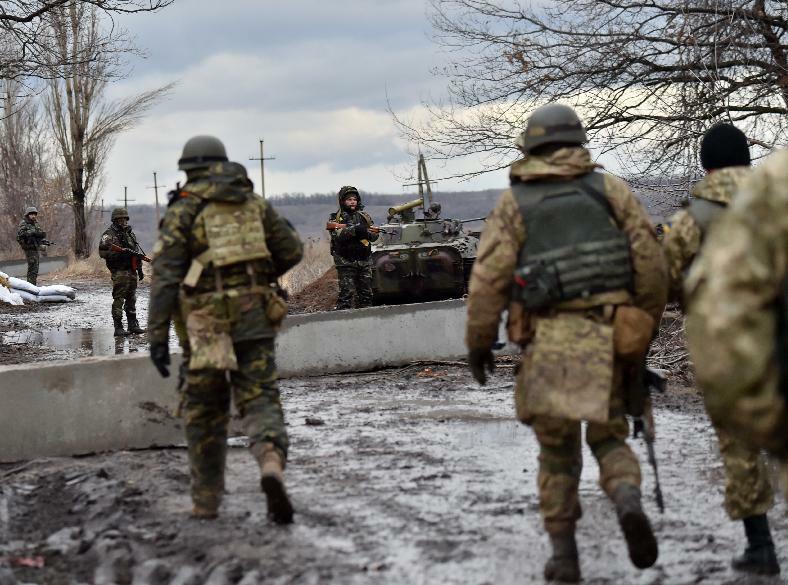 Kiev believes the militants may be stepping up their frequency of attacks to undermine the chances of Russia agreeing to a settlement that preserves Ukraine's eastern border.